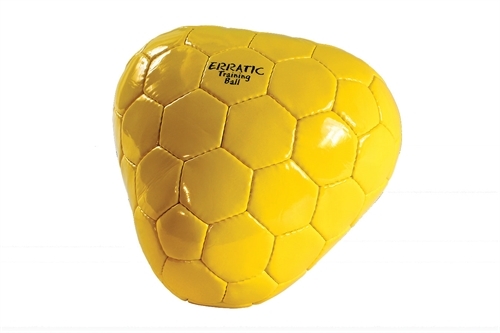 Our KwikGoal Erratic Training Ball - Yellow, is the ultimate training ball for players and goal keepers. Training for deflections and irregular bounces. Improves hand/eye and foot/eye coordination. Can be thrown or kicked, 4-layer polycotton lining.